Еда и рецепты – как вкусно есть и вкусно готовить. The small potatoes are good in own way. 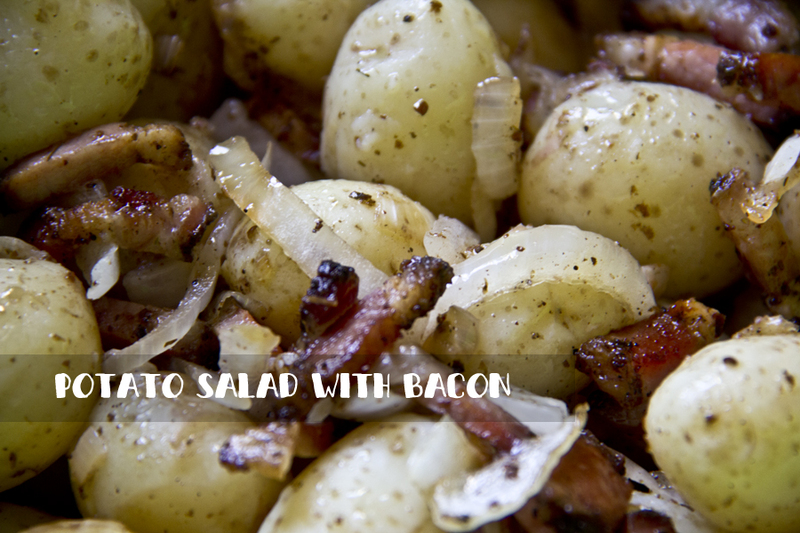 You can prepare from it a potato salad with bacon. And if the potatoes are new, its are very tasty. In general, after this salad, you will get rid of all prejudices concerning German cuisine (if you had such). It’s a unique love story: potatoes and Germans. According to legend, Friedrich the Great introduced potatoes to Germany. First, he issued a decree that ordered his subjects to potatoes growing and eating. But the subjects refused. And then Frederick the Great came up with a trick. He planted the potato field and put soldiers around for protection. But he ordered soldiers to guard the field no for real, and in no case do not stop those who filch something from the field. Nearby subjects regard the field. Then they looked at the soldiers. And they came to a simple conclusion: if the field guarded, then something valuable has grown on it. And if something valuable grown there, it must be stolen off. And they began to steal. Soldiers at the sight of the thieves suddenly fell asleep. And successfully stolen goods actively spread throughout Prussia. The potato was tasty, and Friedrich’s subjects began to eat it. “Quod erat demonstrandum” – said Frederick the Great and went to gain lands for potato fields from neighbors. One kilogram of small potatoes. About 100 grams of smoked bacon. A tablespoon of vegetable oil (better sunflower). One tablespoon of apple vinegar. First, you need to cook potatoes. In salted water. You can peel and cook it, or you can cook it, and then peel. It’s up to you. Put the boiled potatoes in a large salad bowl. Peel the onion and cut into half rings. Cut the fat into strips. Heat a frying pan with oil (or pork fat) on the low heat; then put the onion in it and fry it until it becomes soft. Shift the onion aside and put the bacon in a skillet. Fry until the bacon gets brownish. Sprinkle fried bacon and onion on the potatoes, season it with vinegar, salt, and pepper (to taste) and gently mix. It’s all. You can eat it hot, warm and cold. In the June heat, this salad from new potatoes with a cold beer will be delicious. Pluses: Nourishing, tasty and well stored in the refrigerator. Nuances: You can cut the potatoes into slices and add parsley to the salad. You can also replace vinegar with lemon juice. Spicy food refreshes us on the heat summer days. At least, gives charge of vivacity and cheerfulness. Especially red hot pepper does it. And the Turks, living far from the chill climates, immediately appreciated the properties of chili pepper. As soon as American chili appeared in the Ottoman state (in the XVII century), it becomes one of the pillars of Turkish cuisine. Since then, and to this day, red hot pepper enjoys considerable popularity in Turkey. Hot pepper is the first salad basis. The second basis is simplicity. The Turks are former nomads and are prone to simple and traditionally nourishing food – it’s first. The temperance and simplicity in the eating are one of the virtues, welcomed by Islam – it’s second. Therefore, simple (as well as tasty and nourishing) food – one of the main properties of Turkish cuisine. 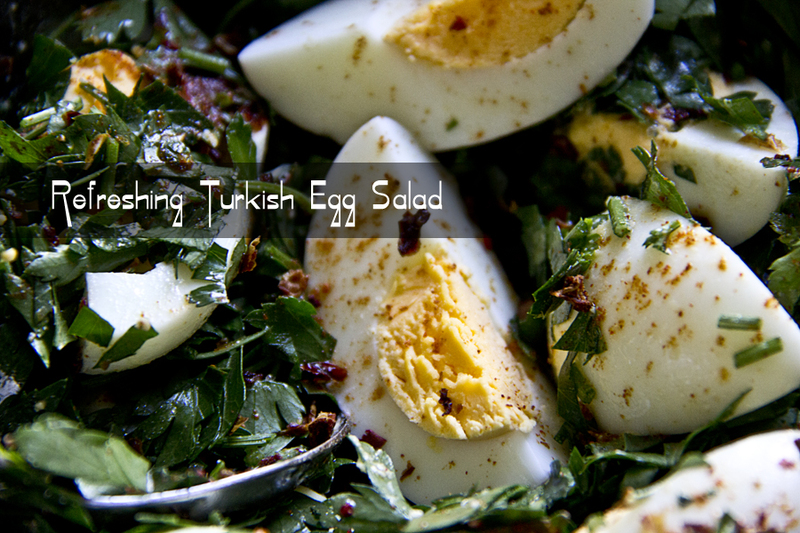 If You add to the basics (the presence of hot pepper and simplicity) a few ingredients – you will get a tasty, hearty and refreshing Turkish egg salad. Eight hard-boiled eggs (10 minutes in boiling water, more is not recommended if you cook eggs longer – around the yolk appears uninteresting blue-green fringe). A big bunch of parsley (200-250 grams of finely chopped greens). Two teaspoons of crushed red pepper flakes (or half a teaspoon of ground red pepper – if you are not used to spicy, start with less). Two tablespoons of good olive oil. I like to add in the salad a tablespoon of red dried sweet pepper flakes. Peel the eggs, cut them into quarters, put them in a bowl, add all the other ingredients and thoroughly (but carefully, so that the yolks do not crumble), stir. Then put the salad in the refrigerator for about 20 minutes, and then eat. Pluses: It’s simple, fast and tasty. Very good in the heat (especially from the refrigerator); the food is quite hearty and, at the same time, not very bulky – at + 30 ° C stuffing the stomach is not a good idea. In general, it is an excellent refreshing and invigorating summer dish. Nuances: It’s hard to find the crushed red pepper flakes – but try it: those flakes give the dish a wonderful feeling of spicy blasts of taste. Use the best olive oil that you can afford. And the freshest parsley. Bulgur Pilavi – pilaf from bulgur with noodles is a unique dish. It somewhat resembles those sandwiches of bread with bread (a thin slice of white bread on a thick slice of grey bread), which we, young and inventive deadbeats, eat in the late Soviet era of food shortages and the post-Soviet era of money shortages. 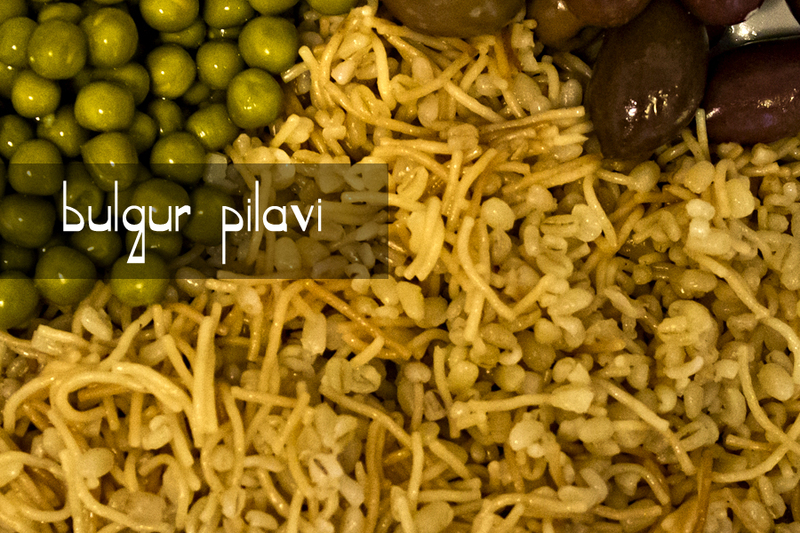 Bulgur Pilavi is made from wheat cereals – bulgur, thin wheat noodles (şehriye) and butter (except for water and salt). The result is a simple and satisfying peasant dish – just the way I like it. Bulgur is wheat grains, parboiled, dried and, after that, crushed. Shallow bulgur used for baking, meatballs and the like; average bulgur – for salads (like a Tabuleh) and fillings for stuffed vegetables; coarse bulgur used for pilafs, soups, and porridges. Turkish bulgur is one of the best (if not the best): after all, Turkey (along with several neighboring countries) is the birthplace of wheat, and probably bulgur. And thanks to tradition (which has more than thousands years), modern Turks are really masters in cooking dishes from wheat. And this simple and somewhat paradoxical dish is a perfect example of this. 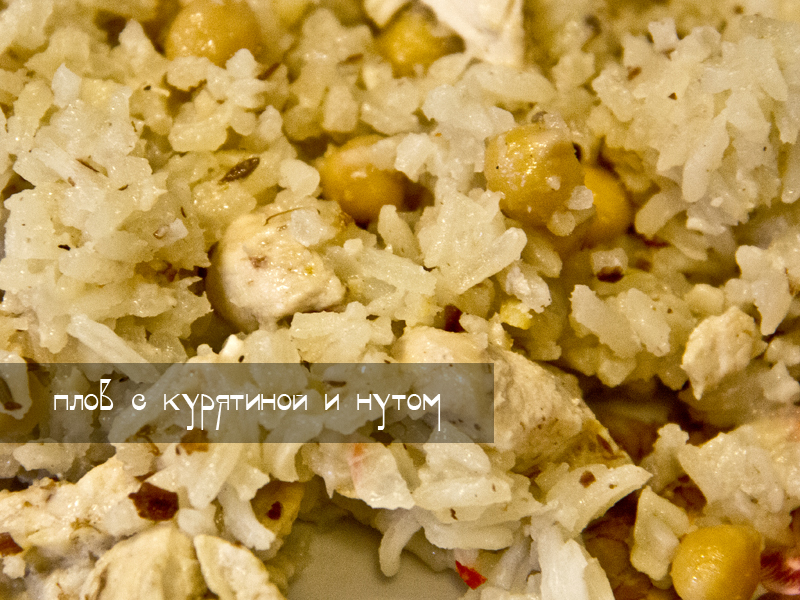 Coarse bulgur – 300 grams. 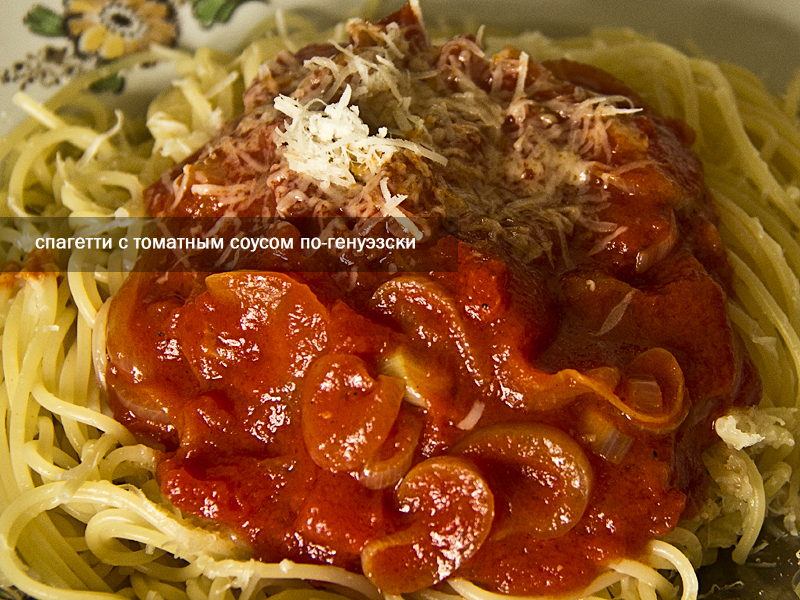 Noodles – 100 grams. Noodles are needed small and thin; Turkish şehriye can be not available, but it is perfectly replaced by Italian Filini, Vermicelli Tagliatti or broken Cappellini (pieces of about two centimeters). 70-100 grams of butter (only unsalted); it can be replaced by the same amount of olive. In general, this pilaf has a simple proportion: 1 part vermicelli, 3 parts bulgur, 7 parts water. Melt the oil in a dutch-pot over medium heat. As soon as the noodles became golden – put bulgur into the pot, salt and fry it all, actively mixing, another a minute or a minute and a half. Fill bulgur and noodles with hot water (gently, will sprinkle); increase the fire to the maximum and wait for the water to boil; then reduce the heat to a small and cook pilaf until all the water is absorbed. All is ready. Eat this pilaf with stewed meat, with kebabs, meatballs or with fried vegetables and pickles (I prefer the latter option). It is even easier to cook Bulgur Pilavi in a slow cooker: set the “Fry” mode for 15 minutes; waiting for three minutes; put and melt the butter; ten minutes before the end put noodles; fry it until golden brown, stirring constantly; put bulgur, salt it and fry, stirring, another minute or two. Then switch the slow cooker to the “Rice” mode, fill it with water and leave it to work, doing our own business in anticipation of a sound signal. Pluses: Unique food. Despite its simplicity, it does not tire; and if you change the side dishes – then, probably, Bulgur Pilavi can be eaten forever. It well stored in the refrigerator. And it’s nourishing. 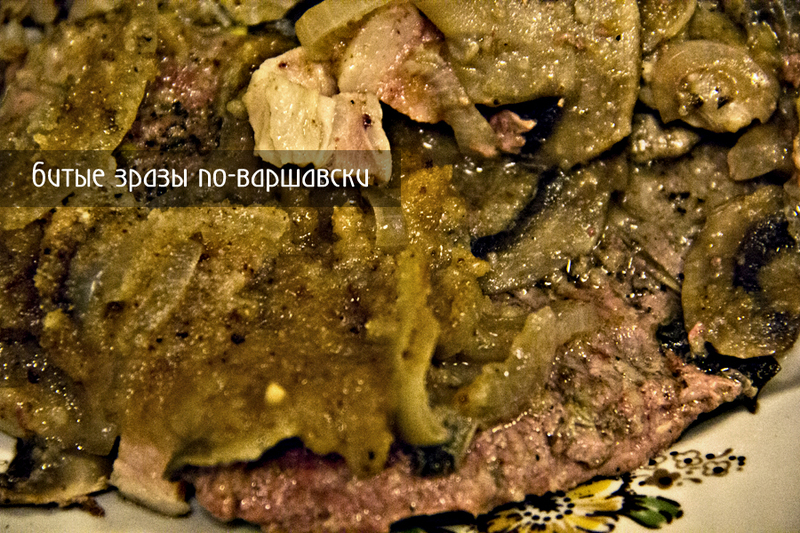 Nuances: Cooked in olive oil – becomes a vegetarian. Do not be tempted to use ordinary crushed wheat instead of bulgur – the result will edible, but not as good as the original dish of bulgur. In our satiate world, we can not even imagine that for a long time porridge was the main dish for the vast majority of mankind. Meat and fish were expensive; vegetables – not enough nutritious; dairy products required sufficiently high investments. And the main source of calories was grain. Of course, constantly eat an empty porridge is not interesting at all. And people varied his meals as much as they could. Balzac claimed that in the Verkhovna (now Zhytomyr region of Ukraine), he eats 162 kinds of porridge during less than a year. 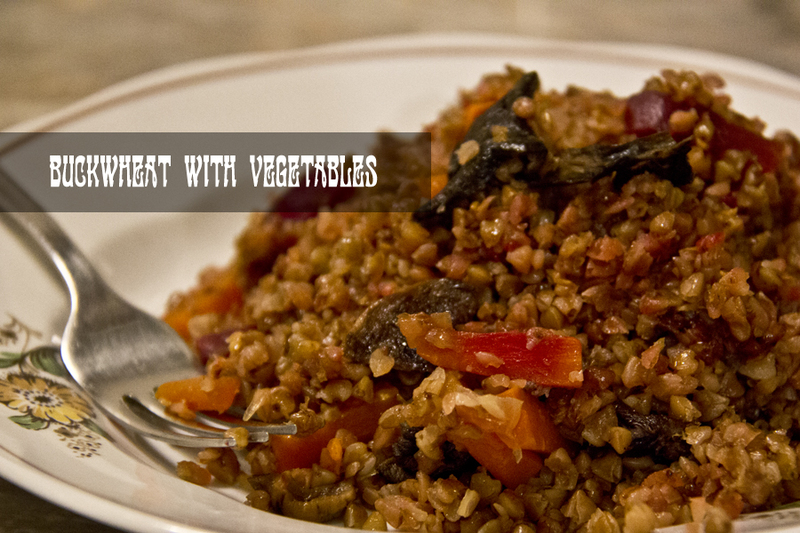 It is possible that buckwheat porridge with vegetables is one of them. By the way, we are also accustomed to buckwheat. And already forgotten that buckwheat comes from China. More precisely, from Manchuria. From there it got to the Turks, to Central Asia, and to the Arabs; then the Arabs – somewhere between the VIII and XIII centuries – brought it to Italy. Approximately at the same time – closer to the end of the above-mentioned range – it reached Eastern Europe; and already in the XIV-XV centuries, buckwheat spread throughout Central and Western Europe. A handful of dried white mushrooms (portobello mushrooms). A few twigs of parsley. Sunflower oil – two or three tablespoons. Salt (a teaspoon – it’s for my taste). Cook beetroot (in an hour and a half), peel it, cut it into large strips. Soak the mushrooms (let them wet until the beetroot will be cooked). If you have whole mushrooms – chop it. Peel and cut into strips a carrot. Peel the onion and cut it with a quarter-ring. Finely chop garlic (peeled) and parsley. When the beetroot cooked, the mushrooms are soaked and other vegetables are cut – put the saucepan or dutch-pot on medium heat, pour oil there, warm it up and put all vegetables (beets, carrots, onions, garlic, mushrooms, and parsley). Fry it (from time to time stirring) eight to ten minutes. Add buckwheat (if necessary, washed and rinsed), salt and fry, stirring, for another two to three minutes. Fill mixture with water; increase the heating to a maximum; waiting for the water to boil; then reduce the heat to small; cover with a lid and cook until all the liquid in the buckwheat is absorbed. Add the pepper, mix the meal, leave it for about ten minutes – and it’s ready. You can make this porridge in a slow-cooker: first set the device in the “Brown/Saute” mode for 15 minutes and fry the vegetables, then add buckwheat two to three minutes before the end of the program, and salt the mixture; then fill it with water and set it to “Rice” mode. After that, you will have to wait for the sound signal only, then add the pepper, mix concoction well and let it brew for about ten minutes. Pluses: Very good food. It’s tasty, can be stored for a long time in the refrigerator, nourishing (buckwheat contains quite a lot of protein – 11-15% – and almost all the necessary amino acids, and I, therefore, recommend that vegetarians pay special attention to this dish). In addition, all ingredients are easily accessible in winter. Nuances: You can experiment; for example: cook instead of water in broth (meat or vegetable), add other types of vegetables (celery – either root and stem, parsley root, sweet pepper, even potatoes). In addition, you can stew it with sour cream or with cheese (such Feta). You can also use butter or lard instead of sunflower oil; add to the porridge fried bacon or boiled finely chopped egg. Try it! The matador swings his bright yellow forelock in front of a small, aggressive pig. The pig is squealing desperately, raked the earth with his hoofs, but does not attack; matador, in addition to the performance of hair-making veronicas and derechasos, stomping his feet, branding his fists and yelling “I’ll swallow you, filthy pig!”. And because it is not known how this political corrida (Trump versus Kim III) will end (and whether after that Korea will remain on our globe), I decided to try Korean cuisine. 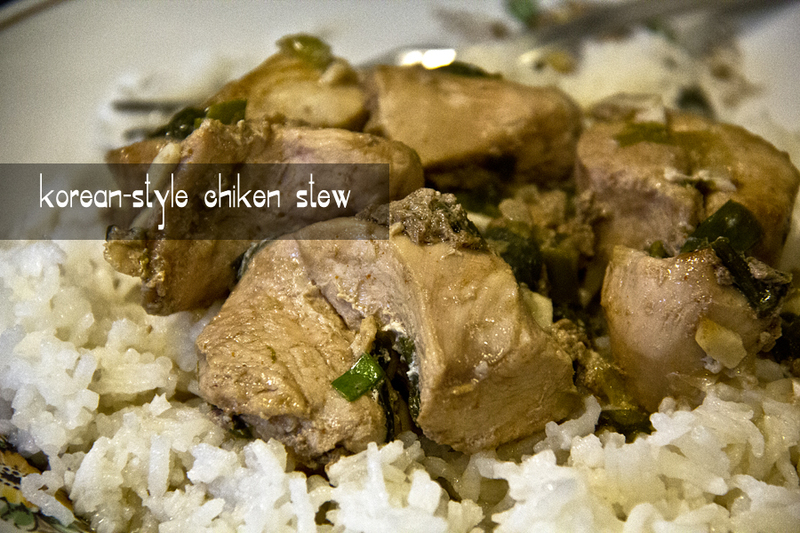 Namely stewed chicken in Korean style. Chicken meat – 800 grams. I used fillets (three pieces). Light soy sauce – three tablespoons (or, at the most extreme, a tablespoon of the traditional soy sauce – but it’s better to use light). Green onions – 6 feathers. A garlic – 2 cloves. Chili powder – half a teaspoon (or more if you like very spicy). A tablespoon of sesame oil. A one-third of a teaspoon of salt. From abundance and quality of the ingredients, it seems to me, what this meal is rather South Korean. The list does not correspond to the assortment of grocery stores in the country of victorious socialism. In no way. Chicken should be cut into “one bite” pieces. Finely chop green onion and peeled garlic cloves. Put all the ingredients (meat, green onion, garlic, light soy sauce, chili powder, salt and sesame oil) in a bowl what is suitable for marinating, mix thoroughly and leave for two or three hours to marinate at room temperature. Warm up a saucepan or a frying pan the lowest heat and put chicken along with the marinade in. Cover and simmer for about two hours, stirring regularly. If the fire is really low, you do not need to add water; but if meal starts to burn, you can add a little water. For a guaranteed result, it is better to use the slow cooker: load the chicken together with the marinade into its bowl, set the device in the “Stew” mode in 2 hours and forget about the cookery – by the moment you will hear the sound signal. Better eat this with rice or with rice noodles. And kimchi, by the way, will be very to the point. Worth: Korean-style chicken stew – tasty and simple everyday food. But eat it better right away – chicken meat is softer where is hot. Nuances: Can be too sharp, but it is easily adjusted by changing the amount of chili. Лингвини с чили и чесноком – прекрасный фастфуд домашнего приготовления. Готовятся они буквально пятнадцать минут. Кстати, не обязательно, чтобы это были лингвини – любые тонкие и длинные (типа спагетти) макаронные изделия сойдут. Всякие макароны с соусами – вообще замечательный фастфуд. Около 150 граммов лингвини или других макарон. Четыре филе анчоусов (соленых анчоусов). Сыр – по желанию; пармезан или (даже лучше) пекорино романо. На варке лингвини останавливаться не будем – просто поступите с ними соответственно инструкции на пачке (выбирайте верхний предел времени приготовления, в этом соусе нет жидкости и впитывать макаронам будет нечего). Сосредоточимся на соусе. Почистить чеснок и перец (удалить из перца плодоножку и семена). Всё мелко нарубить – перец чили, анчоусы и чеснок. Разогреть на маленьком огне в сковородке оливковое масло, положить в него мелко нарезанные анчоусы, чили и чеснок и тушить это все (опять таки на маленьком огне) 7-10 минут. Соли в анчоусах, в принципе, должно хватать, но можете чуть-чуть соус досолить. Полить (или, скорее, посыпать) соусом разложенные лингвини, при желании посыпать тертым сыром, тщательно перемешать и съесть. Итальянцы, кстати, считают этот соус афродизиаком – поэтому традиционно такие макароны готовятся ночью и в количестве не превышающем две порции. Но, увы, это чудодейственное свойство сего блюда – лишь фольклор. С другой стороны, благословенна та страна, где в афродизиаках числится чеснок – и никого не пугает при этом запахом. Сколько будущих браков разрушил у нас чеснок, и сколько будущих гурманов убил брак! 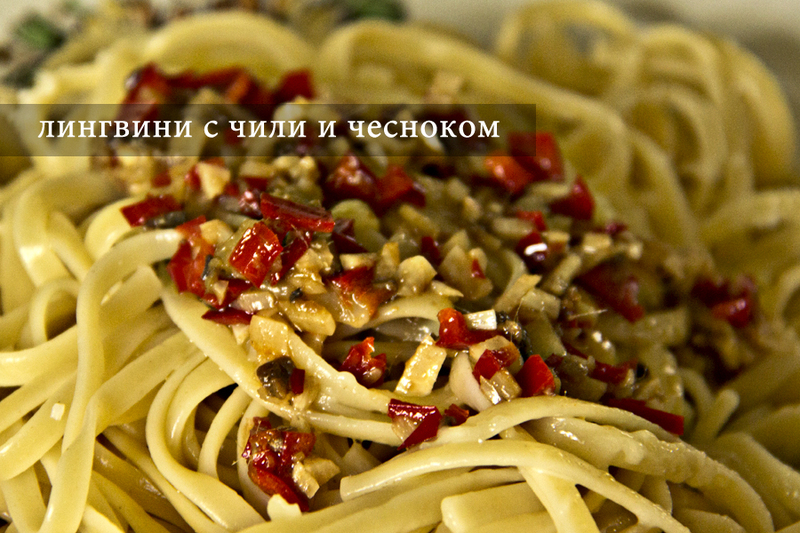 Достоинства: Очень быстро, просто, ярко и вкусно. В принципе, лингвини с чили и чесноком рекомендуют есть без сыра, но я предпочитаю всё-таки с сыром. С дозировкой перца, чеснока и анчоусов можно экспериментировать; анчоусы можно вообще исключить – солить, впрочем, и в этом случае не обязательно, но я всё таки чуть-чуть досаливаю. Также вместо оливкового масла можно смело использовать подсолнечное. Нюансы: Дорогие анчоусы и острота. Зразы любят все. Есть, но не готовить. Битые зразы по-варшавски решают проблему – они так же вкусны, как и обычные мясные зразы, но зато их намного легче делать. Можно считать их ленивыми зразами. Для меня лично – это (как и клопс) еда ностальгическая. Я всегда с такими зразами вспоминаю нашу соседку. Соседка была уникальная. Ей было без малого девяносто лет (родилась она где-то в 1890-х); она никогда не выходила из дому без шляпки, зонтика и перчаток и была русской графиней. Фамилию я уже запамятовал, а звали её Ольга Ивановна. В Варшаву она эмигрировала в самом начале 1920-х и прожила в ней практически всю жизнь (кроме нескольких лет, проведенных во время войны в концлагере). Надо сказать, что с русским языком у меня тогда дело обстояло довольно печально (писать я умел только по-польски и по-украински) и родители решили использовать замечательную возможность меня образовать: меня отдали к графине в обучение. Дело закончилось большим конфузом. Грамматику-то я слегка освоил, но… дореволюционную. Обучение, конечно, решено было прекратить – но зато чтение книг с дореформенной орфографией у меня никогда не вызывало сложностей. Тем не менее, я к ней регулярно продолжал наведываться – послушать рассказы и порыться в замечательной библиотеке. Готовить она умела и любила (хоть и слегка ворчала, что её вынудили) и время от времени приглашала нас всей семьей к себе на обед. На одном из таких обедов и произошло мое знакомство с битыми зразами. Надо, кстати, заметить, что происходило это всё во времена социализма, и достать просто нормальную говядину – не говоря уже именно о круглой мышце бедра – было не так уж и просто, так что подобные обеды были большим событием. Говядина – около килограмма (будет зависеть от выбранного куска мяса, но здесь мы остановимся на килограмме – проще будет высчитывать пропорцию). Традиционно используется круглая мышца бедра, но подойдет и любая другая часть бедра, и вырезка. Я предпочитаю брать молодую говядину (но не телятину), но некоторые любят зразы именно из совсем взрослой говядины. Сало – 200 граммов. Можно взять обычное, но лучше всего – копченое, с хорошей мясной прожилкой. Большая луковица (так, чтобы лука тоже было не меньше 200 граммов). Несколько столовых ложек сухарных крошек (панировочных сухарей, например). Соль – где-то полторы чайных ложки. Мясо нарезать кусками где-то в сантиметр толщиной (обязательно резать поперёк волокон) и тонко отбить. Шампиньоны помыть и нарезать тонкими ломтями. Взять сотейник или толстодонную кастрюлю (прекрасно подойдет и казанок) и выложить в нем всё слоями: сначала в один слой отбитое мясо, на него – лук, потом шампиньоны, потом посолить и поперчить, потом сало, потом – посыпать сухарными крошками; после этого – снова слой мяса и так далее. Кастрюлю лучше выбрать широкую, чем высокую. Накрыть сотейник (или кастрюлю) крышкой и поставить на очень маленький огонь. Тушить 45 минут – час. Через 20-25 минут загляните под крышку: возможно придется добавить немного воды – к этому времени жидкость должна полностью покрывать мясо. Намного удобнее готовить зразы по-варшавски в мультиварке – тогда они превращаются в по-настоящему ленивые зразы. Точно так же как выше подготовьте мясо, сало, лук и шампиньоны и так же выложите их слоями – только не в кастрюле, а в чаше мультиварки. Потом установите прибор в режим “Тушить/рагу” на 45 минут, закройте, включите и отправляйтесь ждать вкусную еду до звукового сигнала. Есть битые зразы по-варшавски лучше всего с гречкой или картофельным пюре (а если к этому добавить немного квашеной капусты…). Но в виде гарнира сойдет и рис, и пшено, и пшеничная каша, и овсянка, и овощи, и даже просто пару ломтей хлеба. Достоинства: Восхитительно вкусно. И сытно. А учетом соотношения цена/качество (то есть трудозатраты/удовольствие) – лучших зразов вы не найдете. Хорошо хранится в холодильнике. Нюансы: Вкус блюда сильно зависит от качества мяса – так что тщательно его выбирайте. Ну, и учитывайте, что блюдо мясное и довольно тяжелое. Спагетти с томатным соусом по-генуэзски на самом деле не обязаны быть спагетти: они с равным успехом могут быть лингвини, фусилли – в общем любым макаронным изделием. Если вдруг вам покажется, что томатный соус по-генуэзски похож на испанский томатный соус – не удивляйтесь, это вполне закономерно. Генуя и Испания были крепко связаны – Генуя, по сути, была финансовым сердцем Испанской империи. Генуэзцы (и в гораздо большей мере, чем Фуггеры) финансировали войны Карла V, Филиппа II и их наследников, они оплачивали завоевание Нового Света. Андреа Дориа был испанским адмиралом, а Амброзио Спинола командовал испанскими армиями – оба были представителями знатнейших генуэзских родов. Так что связи – экономические, военные, политические и культурные – между Испанией и Генуей были очень прочными. И кухня, конечно же, не осталась исключением. Две столовые ложки оливкового масла (можно и больше, до 100 мл.). Два больших помидора или 400-граммовая банка консервированных (в собственном соку, без соли и специй) итальянских помидоров нарезанных кусочками. Две столовые ложки томатной пасты (или, лучше, итальянской “пассаты”). Соль (приблизительно две чайных ложки для макарон и 2/3 чайной ложки для соуса). 50-60 граммов пармезана или пекорино романо (я больше люблю с пекорино), можно использовать и грюйер. Почистить помидоры (окунуть их в кипяток, снять кожицу, разрезать и удалить семена) и нарезать их мелкими кубиками (если используете консервированные помидоры – этот шаг можно пропустить). Почистить лук и нарезать его тонкими (по возможности) кольцами. Разогреть в сковородке на небольшом огне оливковое масло. Положить в разогретое масло лук и жарить его, пока он не станет золотистым (семь, десять, максимум пятнадцать минут). Добавить нарезанные помидоры (или консервированные помидоры из банки), соль, томатную пасту; перемешать; убавить огонь до самого минимума и тушить 15-20 минут. Помидорного сока обычно бывает достаточно, но если соус выходит слишком густым – можете добавить 50-100 миллилитров воды (где-то от четверти до половины стакана). Пока соус тушится – сварите спагетти (“аль-денте”, согласно инструкции на упаковке) и натрите сыр (начинайте с сыра, спагетти обычно варятся минут 6-9). Когда спагетти готовы – поперчите соус, слейте с макаронов воду, разложите их по тарелкам, посыпьте половиной сыра, перемешайте, полейте соусом, ещё раз перемешайте и оставьте минуты на две-три – чтобы соус впитался (в этом-то и смысл варки макарон “аль-денте” – они должны быть способны впитать в себя соус). Потом раздайте тарелки и ешьте ваши лингвини, посыпая остатками натертого сыра. Достоинства: Это очень просто, очень вкусно, довольно быстро и вообще замечательный фастфуд. Соуса, кстати, можно наделать много – он прекрасно хранится в холодильнике; в следующий раз нужно будет просто сварить макароны, полить их соусом и посыпать тёртым сыром. Нюансы: Главное – не обожраться, это вредно для фигуры. Новоорлеанский карри, здесь описанный, сделан по рецепту из кулинарной книги 1824 года. Это такой же безумный гибрид, как и сам Новый Орлеан начала XIX века. Ставший американским только два десятка лет назад (Наполеон продал французские владения на берегах Миссисипи США в 1803 году), этот город был настоящим Вавилоном. На его улицах смешивались люди всех цветов кожи; там говорили на французском, испанском, английском, немецком, португальском и совсем уж экзотических африканских и индейских языках. В тесных улочках Французского квартала встречались и расходились канадские каджуны, креолы – потомки французских и испанских колонистов, африканские рабы, немецкие фермеры, итальянские политические эмигранты, англо-американцы, индейцы чокто и чероки, ирландцы, валлийцы, шотландцы, англичане, португальцы, мексиканцы, даже китайские и индийские кули. Такое же разнообразие творилось и в кастрюлях. Опять таки, новоорлеанский карри замечательный тому пример. Порошок карри, завезенный из Индии посредством британцев; французская ру и метод приготовления, напоминающий скорее фрикасе, чем карри; пришедшее от мавров и завезенное в Америку испанцами использование апельсинового сока в соусе… В общем, скажите спасибо, что процесс приготовления обходится без жреца вуду. Пол литра куриного бульона или воды. Две чайных ложки красного острого перца. Две чайных ложки кориандра (зёрен). Две чайных ложки кумина (зиры). Две чайных ложки сухого порошка имбиря. Две чайных ложки мускатного ореха (натертого). С таким карри будет интереснее. Чистим и мелко режем чеснок. Режем курятину небольшими, “на один укус”, кусочками. Готовим ру: в сотейнике (или в чем-то похожем), на среднем огне, растапливаем сливочное масло. В растопленное масло высыпаем три столовых ложки муки и жарим их, постоянно помешивая, до светло-светло-бежевого цвета (это минута-две). Главное в этом процессе — чтобы огонь не был слишком сильным и мука не начала подгорать, так что мешать придется активно и не останавливаясь. Добавляем в поджарку порошок карри. Жарим ещё минуту, постоянно помешивая. Добавляем чеснок. И жарим ещё одну минуту, тоже постоянно помешивая. Добавляем курятину, солим и жарим ещё минуты две-три активно мешая – кусочки курицы должны хорошо обваляться в мучной зажарке. Вливаем апельсиновый сок, перемешиваем, добавляем пол литра куриного бульона или воды, ещё раз перемешиваем, уменьшаем огонь до минимума, накрываем крышкой и тушим минут сорок – сорок пять. Можно есть. Традиционно – с рисом. В крайнем случае – с кукурузной кашей. Или с картошкой – картошка подливку любит. Достоинства: Хорошее повседневное блюдо с большим количеством подливки. Сытное и питательное. Будет верно и преданно дожидаться вас в холодильнике, пока вы на работе – хорошо разогревается, не теряя вкусовых качеств. Кроме того, новоорлеанский карри довольно просто готовится. Нюансы: Учитывайте, что мясо с жирной мучной подливкой – несколько тяжеловатое для желудка сочетание, поэтому соблюдайте умеренность в отношении размера порций (разве что собираетесь несколько дней подряд грузить мебель). Можете уменьшить количество масла до одной ложки, а муки – до двух (но тогда уменьшайте и количество жидкости – воды или бульона – где-то до 300 миллилитров). Кстати, сливочное масло можно вообще заменить растительным. Блюдо может быть довольно острым – это зависит от количества перца в порошке карри. Плов с курицей и нутом – это сирийский плов. Как он попал в Сирию – неизвестно: мог прийти через Иран и Багдад времен “Тысячи и одной ночи”; мог – вместе с тюркскими наемниками во времена крестовых походов или с турецкими янычарами в XVI веке. Сирия – как и Левант в целом – своеобразный плавильный котел для множества народов и культур: арамеи, финикийцы, греки, римляне, евреи, византийцы, арабы, курды, тюрки и турки, итальянцы, французы – все они внесли свой вклад, все обогатили культуру этой страны; и то, что происходит сейчас, в XXI веке, в этом древнейшем центре культуры – просто невероятная трагедия. Кухня – тоже одно из проявлений высокой культуры; и – на мой взгляд – немаловажных. Кстати, знаете ли вы, что у Харун-аль-Рашида существовали особые чиновники – надимы; они выбирались из самых образованных людей своего времени и в их обязанность входило развлекать халифа поучительной, разумной и остроумной беседой. Надимам обязательно полагалось уметь охотиться, сочинять стихи, стрелять из лука, музицировать, играть в шахматы и… готовить. Возможно, что готовили и какой-то вариант этого плова (без перца-чили, который, разумеется, появился на Ближнем Востоке намного позднее) – тем более, что в нем отсутствует морковь (которая считалась во времена Халифата продуктом грубым и простонародным) и присутствует шафран (который был в те времена так же дорог, как и сейчас и использовался только в праздничных блюдах или на очень богатых кухнях). Около 600 граммов куриного филе. Около 200 граммов (стакан) нута. 250 граммов риса (длиннозернистого, лучше всего басмати). Две чайных ложки молотого кориандра. Чайная ложка молотого кумина (зиры). Щепотка шафрана (ну, в нашем случае это будет большая щепоть “имеретинского шафрана” – то есть бархатцев; это именно их продают у нас под видом шафрана, но зато недорого; а был бы шафран – рис на фотографии был бы желтее, впрочем, можете добавить для цвета куркумы). Две-три столовых ложки изюма (золотистого). Пол литра воды (или куриного бульона). Черный молотый перец – где-то четверть чайной ложки. Соль – до двух чайных ложек. Это будет четыре очень полноценных порции. Помните, что одна из добродетелей представителя культурной верхушки Халифата – это умеренность в пище. Нут сперва надо замочить, на ночь. На стакан нута – два стакана воды и чайная ложка пищевой соды. Рис тоже неплохо замочить перед началом готовки минут на 20-30 в горячей воде; перед тем как класть его в плов, воду нужно слить. Чеснок и перец чили тоже почистить (с чеснока снять кожицу, а из перца удалить семена и плодоножку) и мелко нарубить. Настоящий шафран полагается раскрошить, залить парой столовых ложек горячей воды и в ней настоять как минимум 10-15 минут; можете сделать то же с бархатцами – если считаете, что овчинка стоит выделки. Разогрейте в сотейнике или казанке (на среднем огне) масло и обжарьте в нем лук до светло-золотистого цвета. Это займет 7-10 минут. Добавьте чеснок, перец чили, кориандр и кумин. Жарьте еще минуту. Добавьте курятину и жарьте, постоянно перемешивая, ещё пять минут. Слейте воду с нута и риса (если вы замачивали рис), добавьте их к мясу. Туда же добавьте изюм, лавровый лист и шафран. Посолите, тщательно все перемешайте, залейте водой (пол литра) или бульоном, накройте крышкой, убавьте огонь до минимума и оставьте тушиться, минут на 15. Добавьте черный перец (молотый) и толченый миндаль; после чего тушите ещё пять минут (или пока рис не впитает всю жидкость). После этого можно есть, посыпав плов мелко нарубленной петрушкой или кинзой. Если готовите в мультиварке – установите её в режим “Жарить” на 20-25 минут и выполните операции из пп. 5-7; потом установите в режим “Тушить/рагу” на пол часа и реализуйте пп. 8 и 10 (не забудьте на двадцать пятой минуте добавить перец и миндаль). 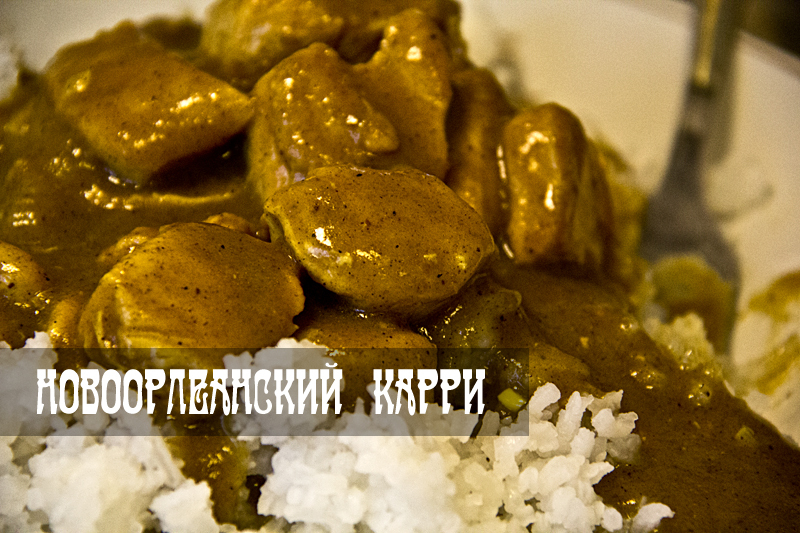 Достоинства: Вкусно, как и любой плов. Блюдо очень сытное; хорошо храниться в холодильнике – становится даже вкуснее, настоявшись. Идеально приготовить плов с курицей и нутом в воскресенье – что бы есть его всё начало рабочей недели; трудовые будни с ним переносятся несколько легче.